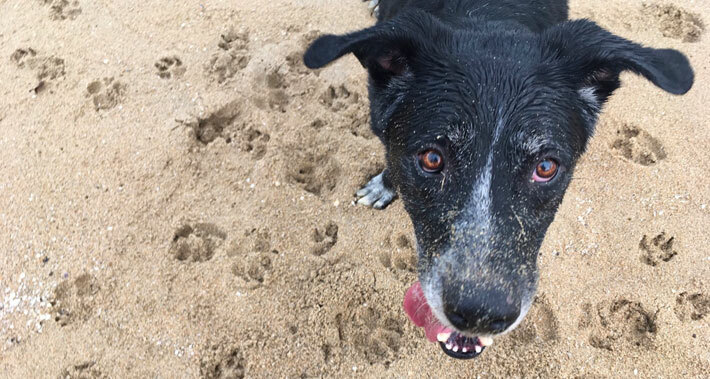 The area marked out for dogs on Llevant beach will be open from 25 May to 25 September. Consult the beach-access regulations for pets and the information about the Llevant beach area for city residents with dogs. 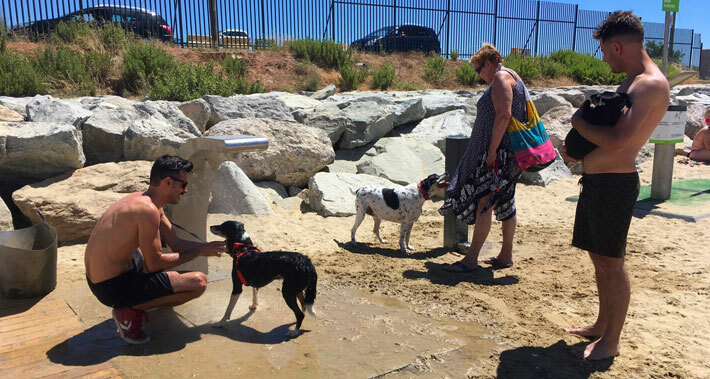 Article 3, section four of the Byelaw on animal protection, ownership and sales (CA) states the following: "pets are banned from beaches apart from the times and locations established by the Mayor and at and other public sites determined by the Mayor. Guide dogs are not subject to this ban." 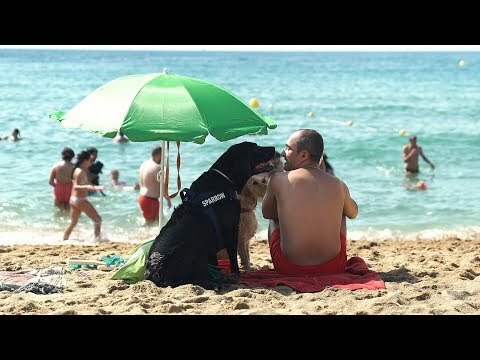 Under the Mayoral Decree of July 6 2018 (CA), pets are allowed access to Barcelona's beaches in general, without time restrictions, except during the bathing season, which covers the weekends from April to October, the period between the Saturday before Good Friday and Easter Monday, both days included, and the period from the weekend before 1 June to the weekend following 11 September, both included, with the exception of access being permitted for guide dogs, free of any restriction, and dogs using the space arranged by the City Council on Llevant beach, during the period from the weekend before the 1 June to the weekend following 11 September. 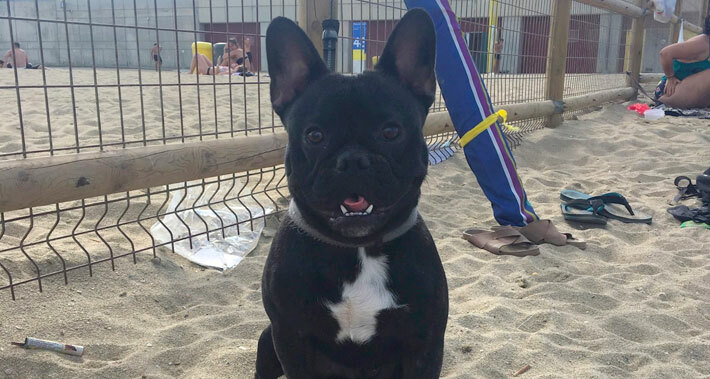 Given the results and warm reception of the two pilot tests carried out during the summers of 2016 and 2017, this Decree provides final approval for permanently establishing this access space for citizens with dogs at Llevant beach, and allows it to be set up every year during the high bathing season. 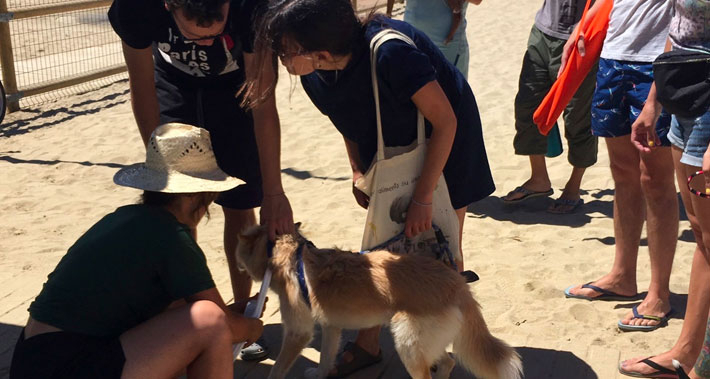 Barcelona is always committed to positive coexistence between people and pets, out of respect for animal rights. 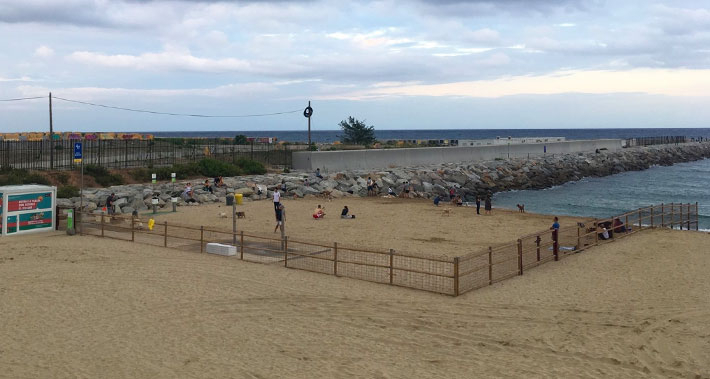 The dog beach with a space physically separated from the rest of Llevant beach, boasting an area of close to 1,250 square metres and capacity limited to 100 dogs, for safety reasons, with perimeter fences along the shore and breakwater areas, to prevent dogs from leaving the space. Its opening times will be from 10.30 to 19.00. A Monday-to-Sunday information service, with two environmental information officers, who will be carrying out access-control work, given that only dogs with identification microchips can access the area, performing monitoring work, distributing waste-collection bags and information to users, both at the information point and the beach's access points, so that users with dogs can follow the established route to the area's entrance, to ensure the area is smoothly run. 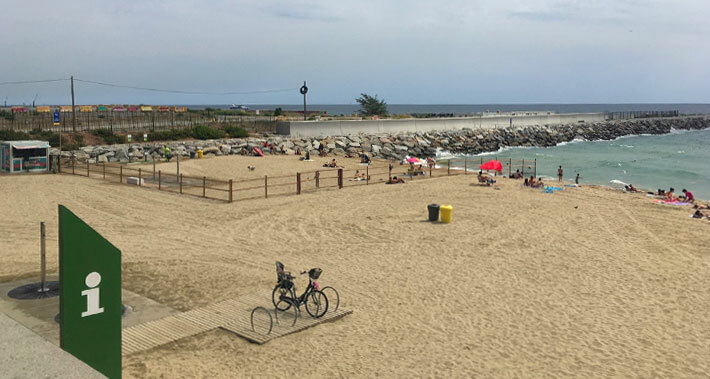 Manual cleaning service for both the space and its access points, which includes the emptying out of bins and machine cleaning by sifting sand at night with a tractor, down to a depth of roughly 8 cm, as on the other beaches, and 30-cm-deep sand sifting, when determined by contingency criteria. Water and sand quality-control service, which is carried out by the Public Health Agency (ASPB). Water control as established under Directive 2007/EC; on controlling the quality of water and sand, has seen the establishment of a contingency protocol with the ASPB which includes a package of sand maintenance and cleaning initiatives depending on the analytical control results. 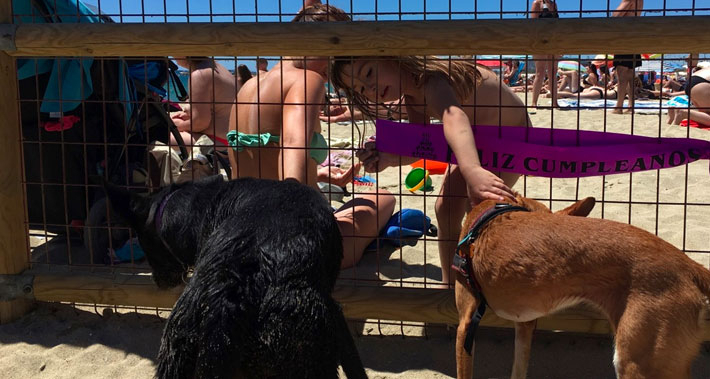 Citizen-awareness-raising campaign on the obligations dog owners have with their pets, on appropriate conduct on the dog beach and with respect to the other members of the public. 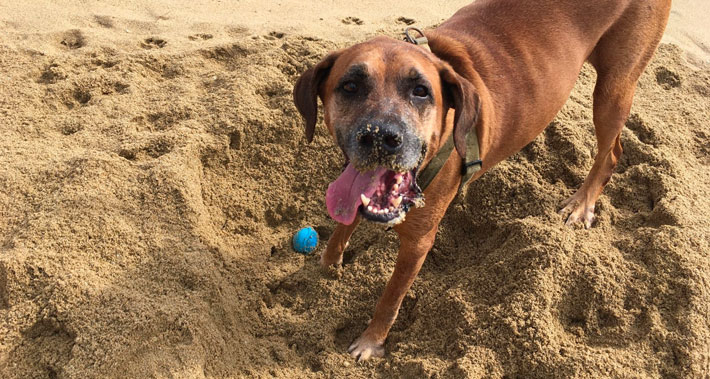 Information leaflets that outline the regulations governing the use of the area, specific regulations for potentially dangerous dogs and advice on good practices will also be given out. For easy access to the area, the existing walkway leading to the access gate for the dog area is being maintained, duly signposted at the entrance and the access ramp to the area. 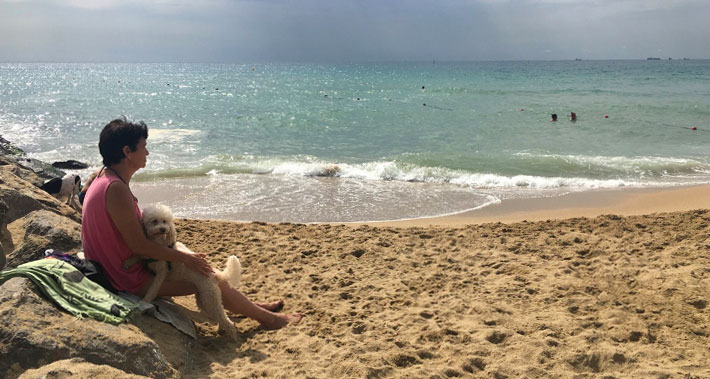 You are reminded that dogs are still banned from other areas of the Barcelona shoreline during the bathing season, except for guide dogs, which are always allowed on the beach.